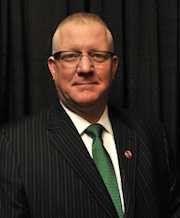 Sean McGarvey, President of the NABTU, started his career with the International Union of Painters and Allied Trades (IUPAT) in 1981 in Philadelphia, and subsequently worked his way up through various leadership positions within the IUPAT. In 2005, he was elected secretary-treasurer of NABTU. In 2012, McGarvey was unanimously elected to the office of president. 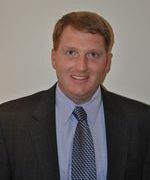 Treasurer; National Alliance for Fair Contracting, Inc.
McGarvey also serves on several other union construction industry labor-management committees. McGarvey holds a Bachelor of Arts degree from the National Labor College and is a graduate of the Harvard University Trade Union Program. A third-generation laborer and a graduate of the University of Virginia, Brent Booker is the secretary-treasurer of NABTU. Since becoming Secretary-Treasurer, Booker has been a driving force in the strategic repositioning of NABTU, as well as conducting ongoing outreach efforts targeted to construction owners and end users focusing on the overall value of NABTU. Additionally, Booker has been appointed as trustee to various industry groups in the nuclear, power generation, oil and gas, and chemical industries and serves as an officer for the Center for Military Recruitment, Assessment and Veterans’ Employment (CMRAVE) and CPWR-The Center for Construction Research and Training. Before assuming the position of secretary-treasurer of NABTU in 2012, Booker served as director of the Construction Department at the Laborers’ International Union of North America (LIUNA), a position held since 2007. He has served as the labor section co-chair and president of the National Maintenance Agreement Policy Committee, Inc (NMAPC).